Enabling organisations to gain all of the benefits of the market leading ERP solution without the need to deploy and maintain expensive on-site hardware. The software is delivered from the cloud and consumed on a per user, per month basis. We combine our twenty years of experience in delivering the software with our expertise of managing complex IT infrastructure to deliver a highly flexible Enterprise Class platform, tailored to your specific needs and available to any user, in any location. Provided from multiple UK-based datacentres fully managed by the Codestone team. This enables us to ensure that your SAP solution is delivered from a secure environment that is always available with a service level of 99.9% availability. Unlike many multi-tenanted offerings, you will have your own instance of SAP Business One meaning there is no restriction on how we tailor the solution to your specific needs. You are provided with the same level of customisation as if it was deployed on-site including the integration of third party and industry specific add-ons. We take the time to understand your needs and deliver a solution that is 100% aligned to these needs. Choose either a HANA or SQL database platform with no compromise. Business One as-a-Service from Codestone offers you the choice on the underlying platform that you want to use both now and in the future. A unique capability of the Codestone platform is the ability to support customer-specific extensions and the inclusion of SAP eco-system plug-ins. This ensures that customers can still gain the value of applications that add warehouse management, automation, workflow and improved usability to name a few. We provide a full managed service. This means we take care of your platform ensuring that it remains with lights on, regularly updated to the latest version and all house-keeping is methodically planned and performed. You also have access to our experts 24/7/365. 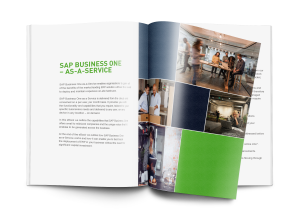 What SAP Business One can do for your business with our eBook outlining the key capabilities and value. Quickly put in place an enterprise-wide business application without the need to invest in an internal server infrastructure and IT management resources. Your software is provided from our cloud and the functionality and capabilities that your business requires are available to any user, on any device in any location – on demand. Your business-critical application and data professionally managed and hosted in a secure and resilient cloud environment. The flexibility for you to consume the functionality that your business needs, when you need it and 100% aligned to the way you work. Removing the need for chunky capital investment and consuming the software on a predictable per user, per month basis. The peace of mind that your software deployment can scale with your organisation both in terms of number of users and number of transactions. At Codestone, we are not just experts in SAP Business One, but have almost two decades of experience in helping our customers gain the maximum from this application. We take the time to understand your business and tailor the software to your specific needs and to deliver the outcomes that you require. By selecting Business One as-a-Service, you gain all of your benefits from utilising a SAP platform that is already established in our cloud. We work with you to tailor your own instance of this, aligning it to your own unique needs.